Our Capitalization Process is a simple, powerful, and economical approach to growing an early stage business based on real results. Hundreds of clients have followed this approach to raise many tens of millions of dollars from private investors, and achieved a wide range of other positive business outcomes as well. The Capitalization Process is based on proven methods that apply to companies at different stages of development, and are focused on the achievement of critical milestones that support ongoing growth and further capitalization. The process begins with ideation, and supports companies through various stages of development and accomplishment all the way through stakeholder financial exit. Some phases may be repeated as companies expand with new products or enter new markets. 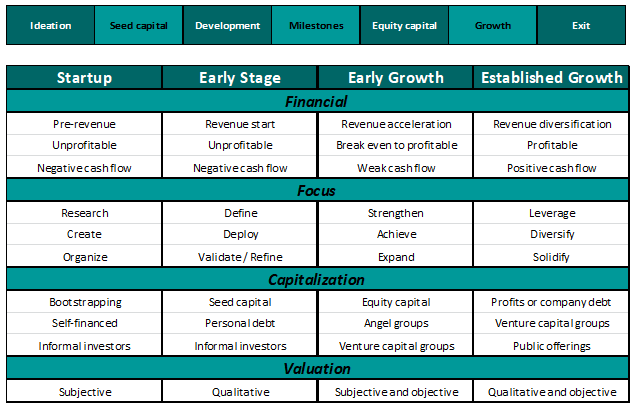 This Capitalization Process roughly corresponds with businesses within four stages of development as illustrated in the table below, which includes some characteristics that are typical of each. 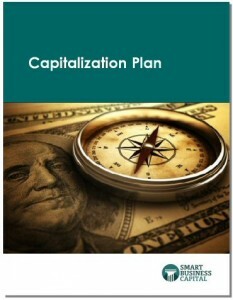 As your company grows, the number of capitalization options increase. We are familiar with more than a hundred approaches for all stages of business development, each providing the means to propel your company forward. Some early-stage approaches become standard operating procedures in mature businesses, while others eventually become less desirable and appropriate. Using your dynamic financial model, we will collaboratively work with you to identify capitalization opportunities that can be deployed immediately, as well as those having a reasonable chance of success that you can be working toward. 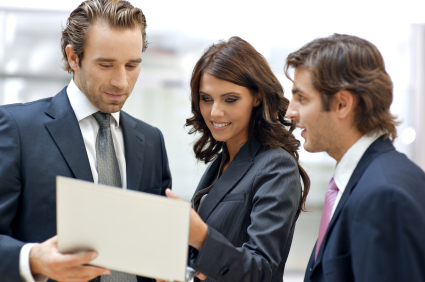 Together, we will assess the financial impact of these strategies on your company. You will see how the many moving pieces of your business will be affected by these capitalization approaches. We will also address implementation issues you are likely to encounter, and ways to positively resolve them. Contact us to put your capitalization efforts on the fast track.